I'm somewhat clueless in the kitchen, as evidenced by a few stories. Shortly after Christmas, I was in a local store and saw that they were having a sale on George Foreman Grills. After thinking to myself for several years that I should get one of them, I finally bit the bullet and bought one. After getting the grill home and unpacking it, I went out the grocery store to get some chicken breast—something I had a craving for. 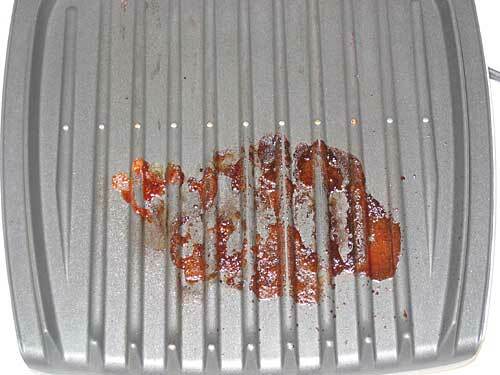 In the past, cooking a chicken breast meant getting out my flat griddle/grill. It usually took about 25-30 minutes to cook it, and in the process dried out the thinner part of the breast, leaving about 60% of edible meat. I was never happy with the outcome and therefore did not cook chicken breasts that much, even though I love them. After marinating the chicken breast in some lemon/poppy marinade, and warming the George Foreman Grill for five minutes, I cooked the breast for seven minutes in the grill, per its instructions. When I opened it up, I was presented with a cooked chicken breast. 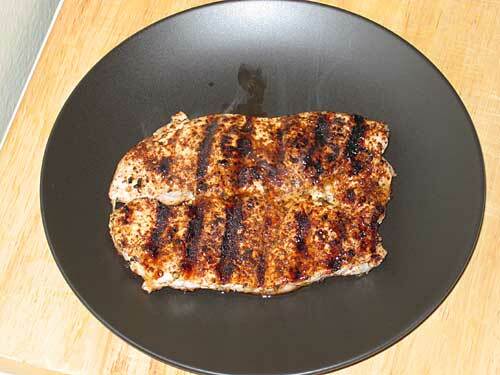 It had clearly defined grill lines, and was a bit burnt where I neglected to wipe the marinade dry. I cut into the thickest part of the breast to see if it was cooked through, and it was. Not only was it cooked through, it was juicy! I took it off the grill, let it sit for a few minutes to cool off a bit, and then ate it. It was great! 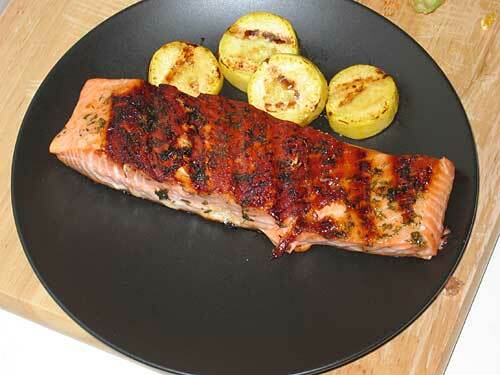 It was cooked perfectly, and the lemon/poppy marinade was delicious. An excellent first meal from the grill. Since the first meal was such a success, I decided to see if I could repeat the result with another chicken breast (truth be told, there were two in the pack, so I made the second). This time I marinated it in Stubbs Chicken Marinade for more than eight hours, starting it before I went to work. When I got home, I warmed up the grill for five minutes, and put the breast on for seven minutes. It came out just as good as the first one, and was an even better meal because of the Stubbs chicken marinade. Since the first two chicken breasts came out so well, I decided to try the grill with some other meats and fish. First up, a boneless pork chop. It was about half an inch thick, but it was big on taste after George had a few minutes with it. Easily the best pork chop I've ever made. Per the recipe book, I mad a rub with chili powder, brown sugar, salt and some coarsely ground black peppers. After six minutes in the grill, it lasted about five minutes on my plate. Next up was a very nice piece of salmon with a honey-dill sauce. After grilling the salmon for four minutes, I spooned onto it a heated mixture of honey, dill, parsley, butter and salt, then grilled it for an additional three minutes. Also grilled some pieces of squash. It was quite good. 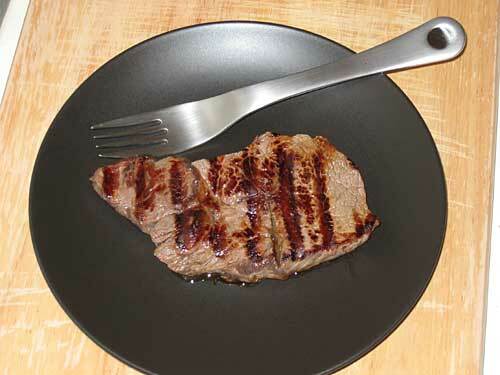 For the final test, a nice piece of sirloin steak. I decided to do nothing to the steak and let it's natural flavor speak for itself. After eight minutes in the George Foreman Grill, it spoke louder than a Muhammad Ali knockout punch! Boy was that a good steak. I would have to say that the key to the grill is that both the bottom and top of the grill contain heating elements, and therefore, cooks on both sides at once. This cuts the cooking time dramatically compared to a one sided grill. It also has a non-stick coating and is sloped so that any fat, grease, etc. 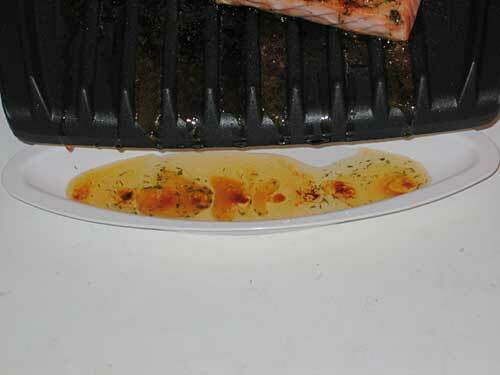 flows away from the food and drips into a little pan that you place in front of the grill. The model that I purchased was the Family Size and it came with a great cookbook that includes many recipes and tips on how to make a meal with the grill. I think what I like best about the grill is that most meals takes under 10 minutes to cook. Add the five minutes to warm the grill up and you have a meal that is ready to eat in less than 15 minutes. You can even use the five minute warm up time to prepare the food. Cleaning is not that bad. Since it uses a non-stick surface, the food really does come right off the grill. The only food-stuff that is usually left behind is related to the sauce, fat, grease and normal residue that comes from cooking. My size grill is not that easy to maneuver into and around the sink since it's just a little smaller than the sink. If they made the top half removable for cleaning, that would be awesome. The non-stick surface has not scratched or worn off under normal use/cleaning, except for the little "nubs" in the middle of the bottom half of the grill (I assume they are there to keep some food from sliding down the slope). To clean it, I use a "Chore-Boy" sponge which is a normal sponge on one side, and a rougher sponge on the other. A few rubs under the water and the left-over food-stuff comes right off. 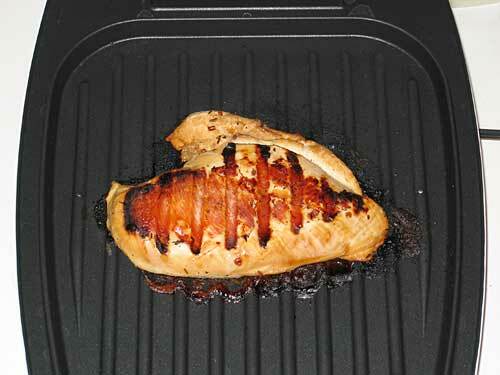 I'm very happy with the George Foreman Grill and I'm sure that George will be cooking me many dinners in the future.